If you suddenly acquired a time machine and went back to this exact time last year, you'd likely read about us waxing poetic about a certain key 2017 denim trend. (Because if you successfully time-traveled, the first thing you'd do is read Who What Wear, right?) 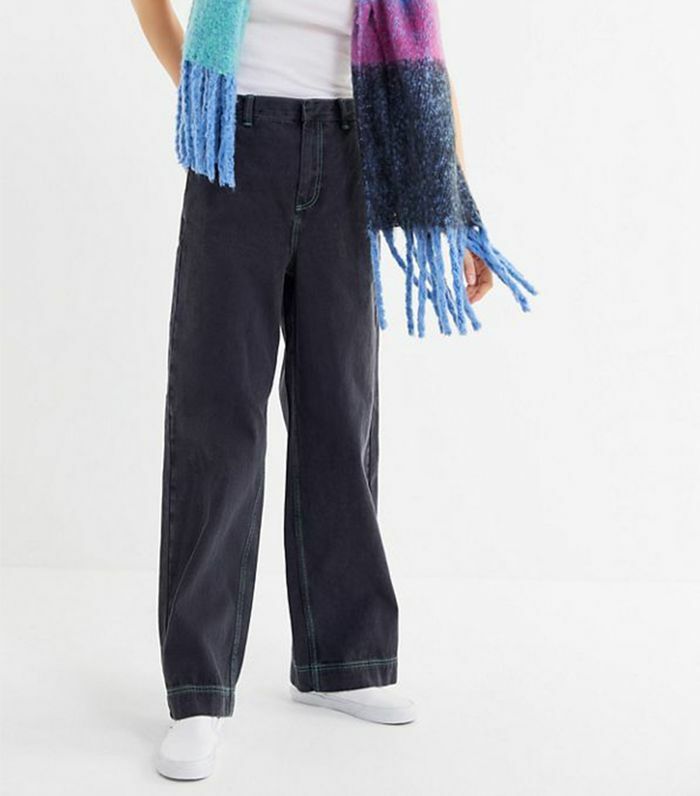 The jean style we were calling the most popular denim trend at that point was cropped flares, and they've all but completely vanished from view 365 days later—have you noticed? After coming to this realization, I did some digging, and it turns out I'm not the only one who's picked up on cropped flares' rapid decline. 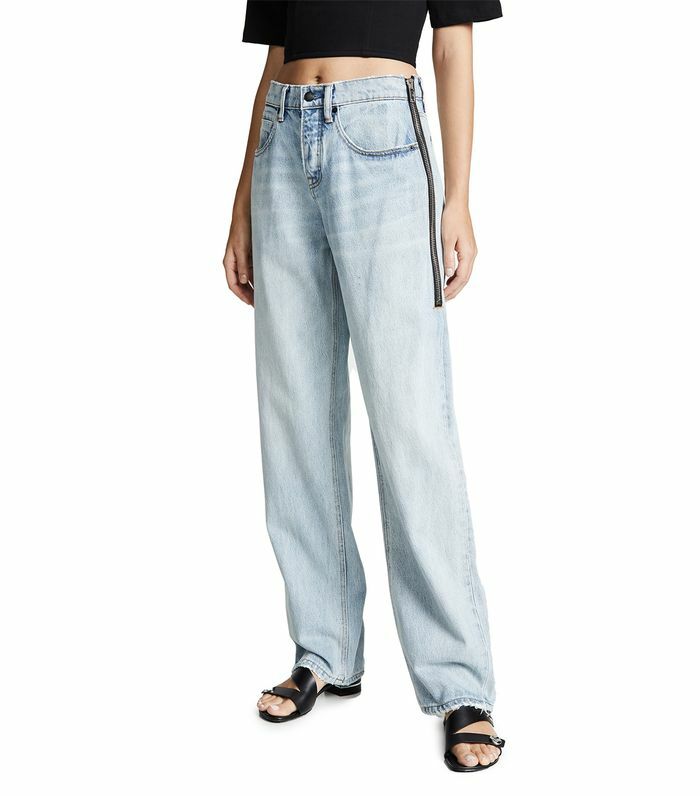 Who What Wear's resident commerce strategist, Alex Flowers, confirmed that "units sold of cropped flare jeans decreased by 55% compared to last year." As for what's replaced them? It seems we're trading in the retro '70s-inspired silhouette for one that's much more '90s: "baggy" or loose-fit jeans. Flowers noted that in place of cropped flares, wide-leg styles have soared in popularity, increasing by 214% this year. 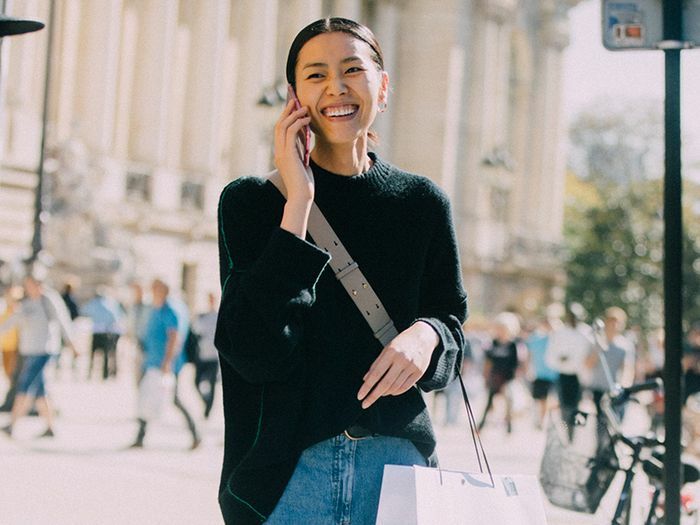 We've already been spotting the 2019 denim trend on celebs from Gigi Hadid to Margot Robbie, and our own editor Michelle Scanga has quickly become Who What Wear's resident loose-fit jeans stan. Keep reading to see what all the baggy jeans buzz is about and shop key styles. Style the loose jeans with sleek cowboy boots. Light-wash jeans are the denim color of choice for fashion girls. Keep your look simple: a crewneck sweater and low-top sneakers do the trick. Style these with a thin turtleneck. Take a cue from Michelle and wear your loose denim with a cropped sweater. This pair speaks for itself. The side zipper adds a healthy dose of cool. Instead of going all in for distressing, opt for key rips. These jeans are selling out everywhere online, which can only mean god things. A dark-wash pair looks polished. Style yours with a bright knit like Emili did here. The extra-long belt adds a personality to the jeans. This pair could pass as a pair of trousers. Wear with sleek accessories to offset the casual nature of the jeans. According to Alex Flowers, this exact pair is Who What Wear's best-selling jeans of the year. These will go with pretty much everything. Not into the long hem? Give yours a wide cuff as Veronica did here. Loose fit + charcoal wash = peak '90s jeans. If you swear by high-waisted jeans, these are for you. Next, see the best new jean styles that launched this month.